When you were at the camp you were having too much fun to even think about watching T.V. You may not believe that but it's true. Do you want to waste time watching TV when you're at Disney World? I think not. That's the same way you felt when you were at the camp. At the camp there were all sorts of things to do. Read down this page to find out some of them. In the mean time you might be interested to know that an 80 pound Alligator Gar was caught in the Lake in 1996--a state record! There are some amazing creatures swimming around the Lake. 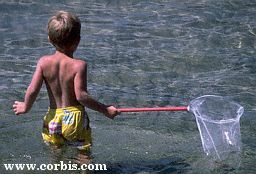 To find out about Needlefish, Alligator Gars, and other interesting species see the Wildlife and Fisheries link below.